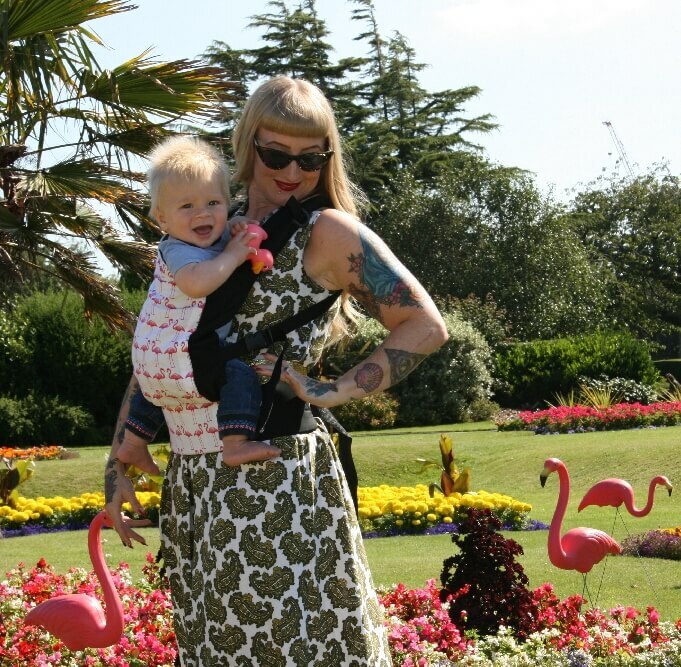 • Carry your child on your hip, tummy to tummy and on your back. 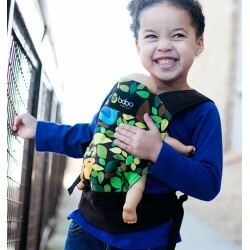 • Carry your child easily and quickly, but still have both hands free for her brothers or sisters or jobs you need to do. • Easily manage barriers such as stairs, getting on the bus or train, or rough or irregular paths. • Give your toddler a rest when she is just learning to walk and cannot yet manage long distances. 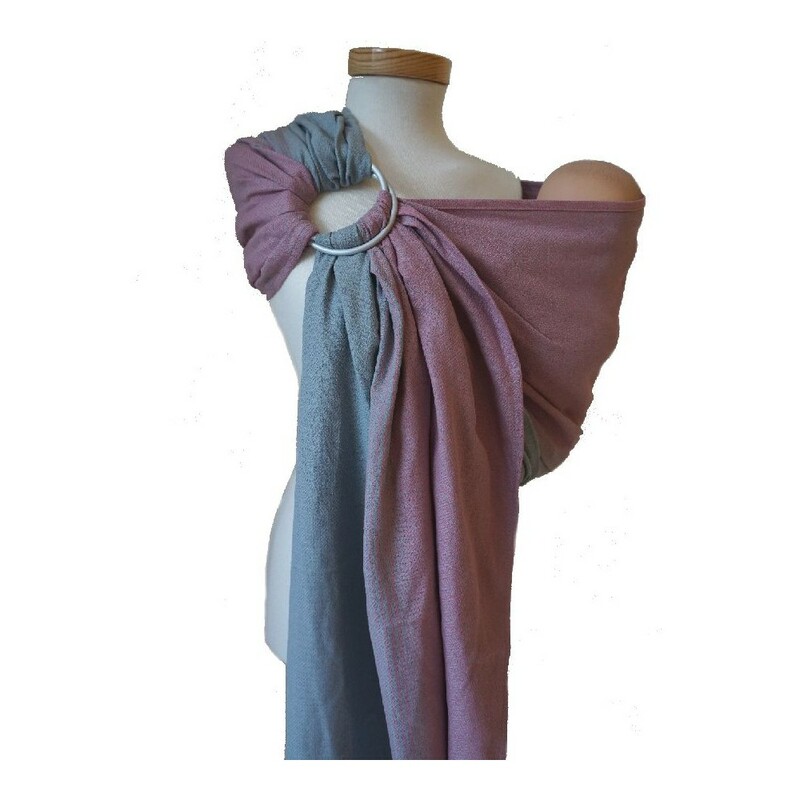 What makes the Storchenwiege Ring Sling so special? The Storchenwiege Ring Sling is made of 100% cotton; the special Storchenwiege fabric stands out for its extremely good diagonal elasticity. 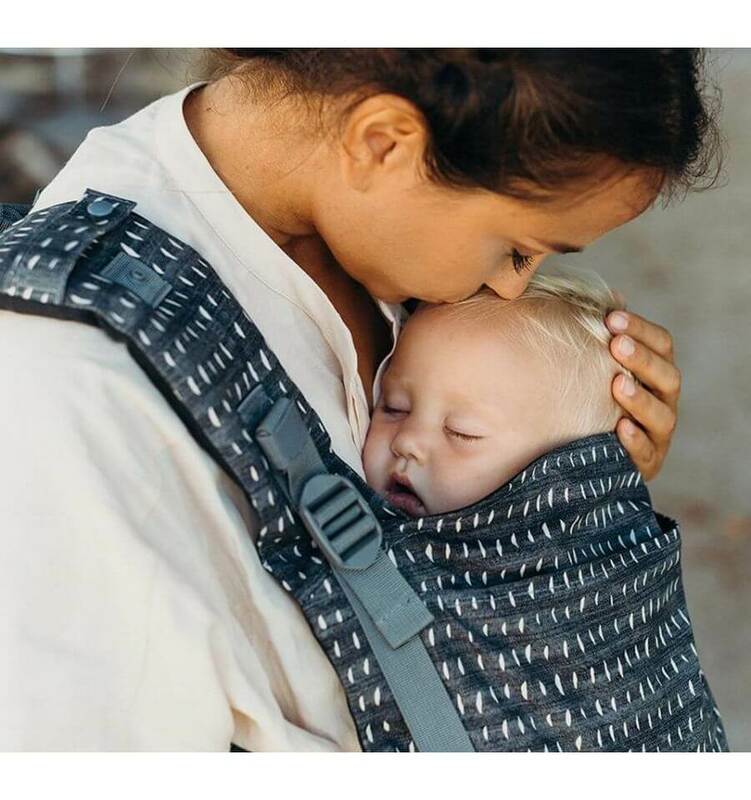 The Storchenwiege RingSling thus supports the child firmly and envelops her body like a firm bandage. This guarantees a safe, comfortable feeling when wearing it. The fabric of the Storchenwiege RingSling is certified in accordance with the Oeko-Tex 100 standard for babies. In this way, you can rest assured that it is absolutely safe for your child´s health. The use of large, high-quality aluminium rings makes the Storchenwiege Ring Sling comfortable to wear, allowing its folds to be arranged neatly in the rings and thus over the shoulder. The Storchenwiege Ring Sling also has different-coloured edges, making it considerably easier to put on, and especially to pull tight. The Storchenwiege Ring Sling comes with detailed instructions on how to wear it and a washing bag to protect your washing machine and the Storchenwiege Ring Sling aluminium rings. It is made in Germany. The length of the sling is app. 185 cm. The Storchenwiege Ring Sling can be washed at up to 60°C. Please use the enclosed washing bag to protect your washing machine and the aluminium rings.